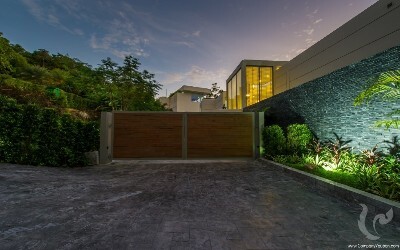 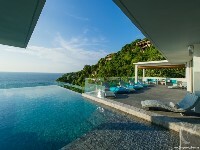 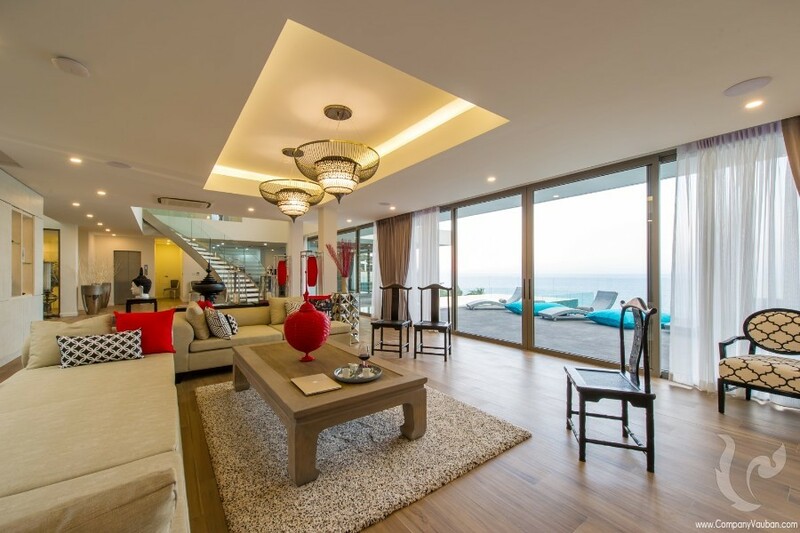 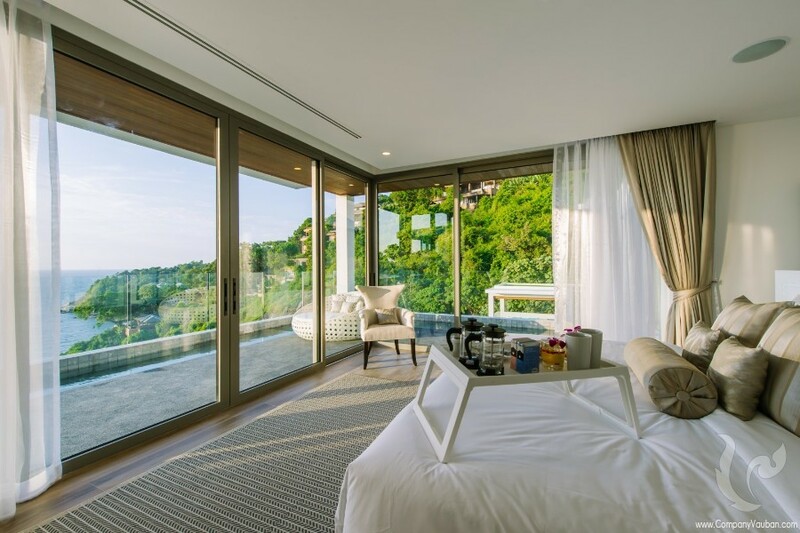 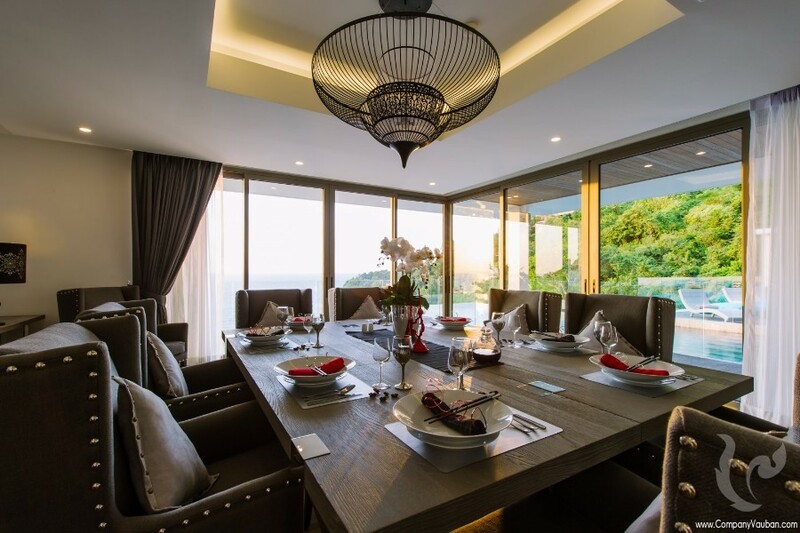 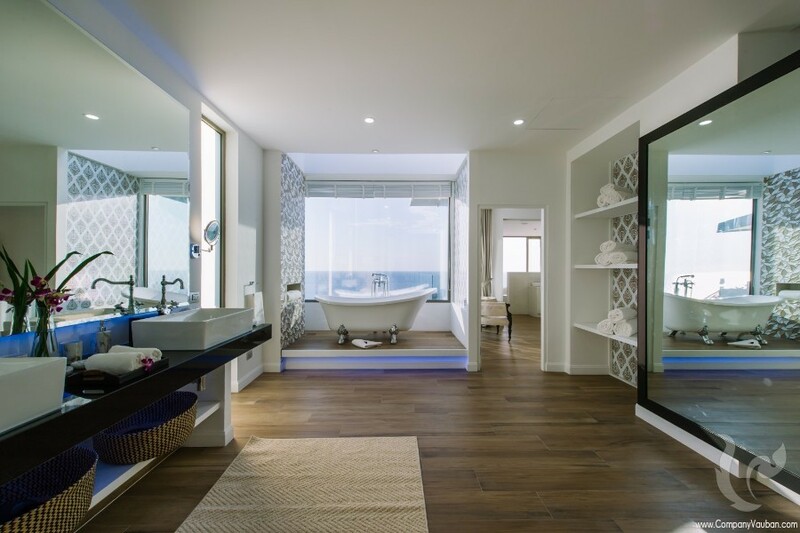 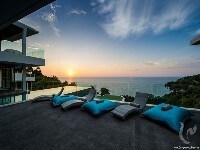 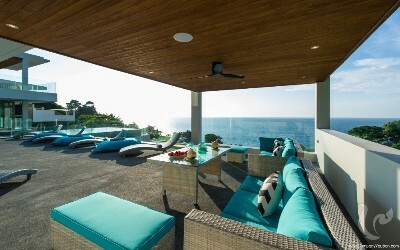 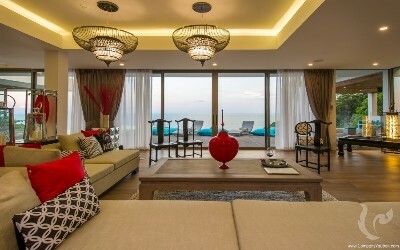 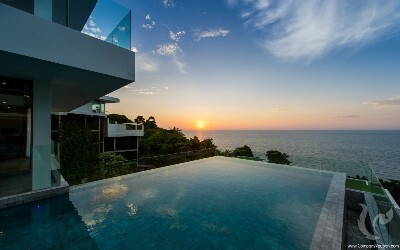 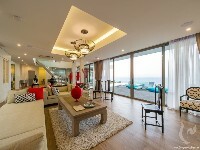 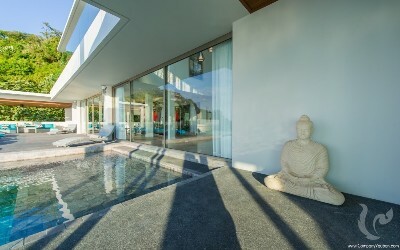 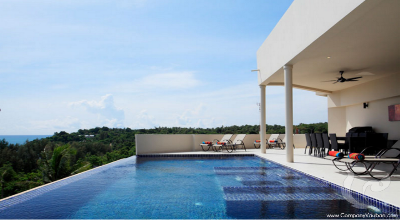 The Luxury Ocean View Villa in Kamala, Phuket. 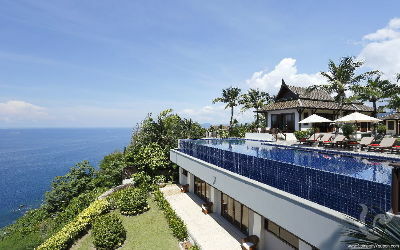 The luxury Oceanfront villa is located in the green area of the hillside at Kamala. 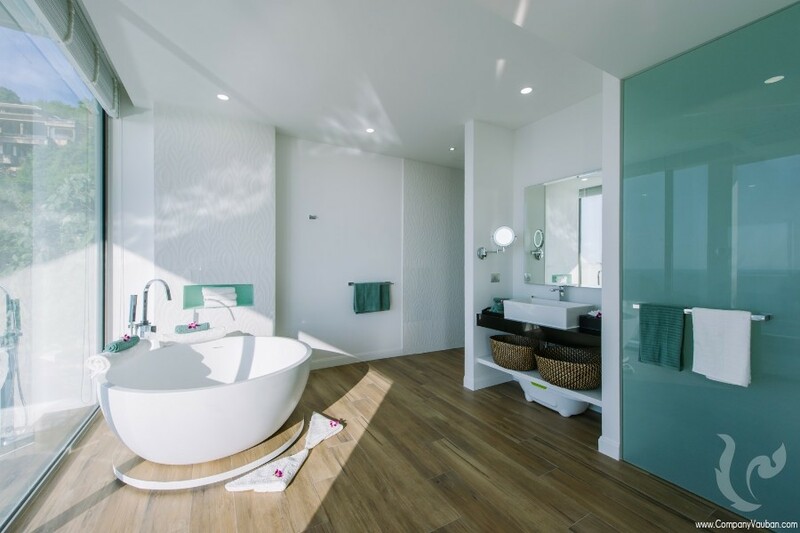 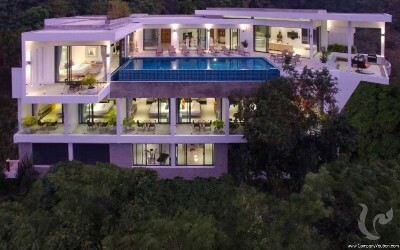 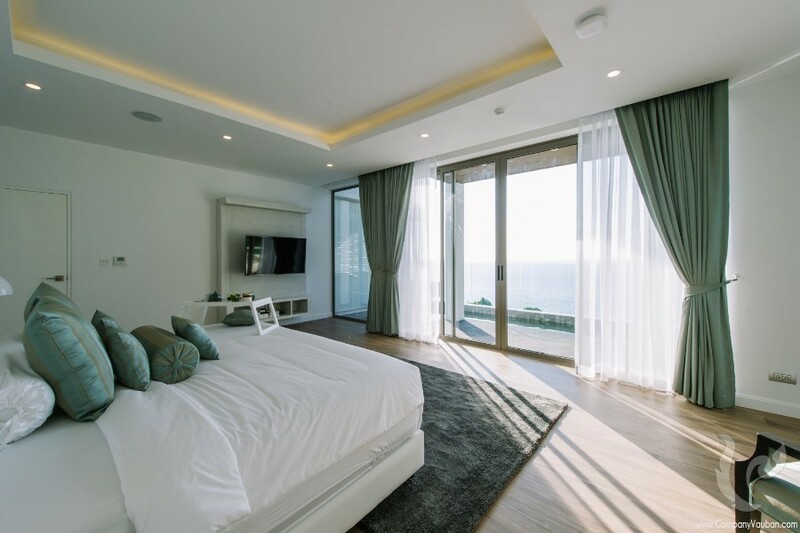 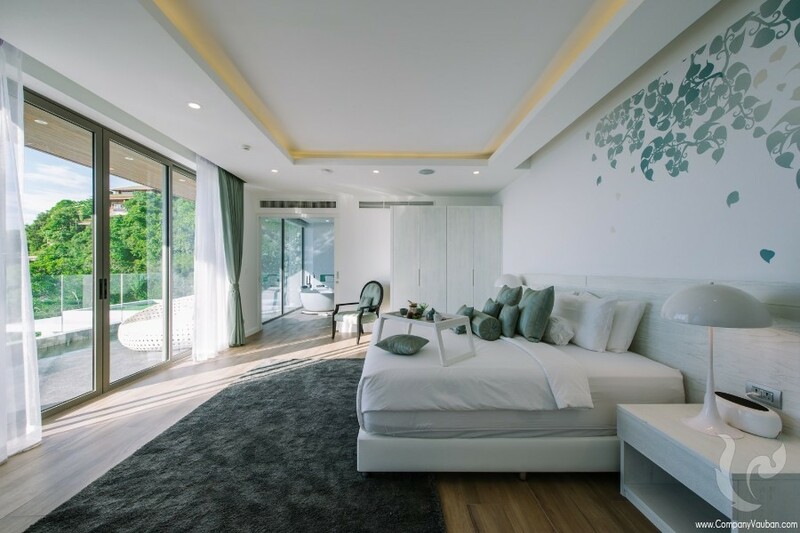 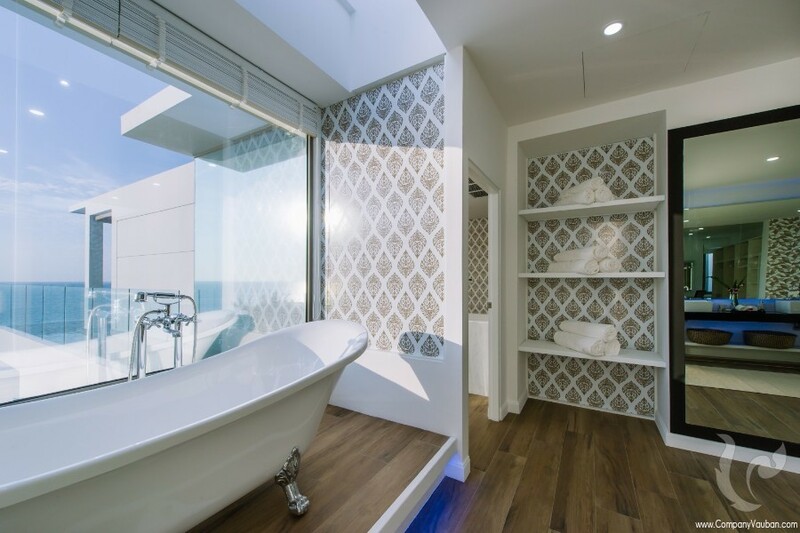 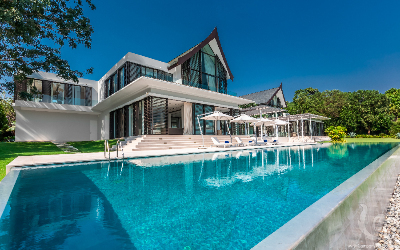 The Villa offers a select few residences inspired and refreshing alternative to the urban modern lifestyle.Just a few minutes from the white sandy beach of Kamala,30 minutes away from the lights and sounds of Patong and Phuket town and only 50 mins to Phuket International Airport. 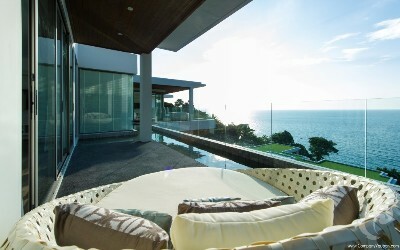 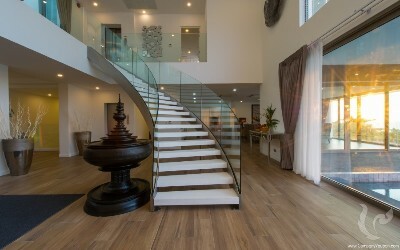 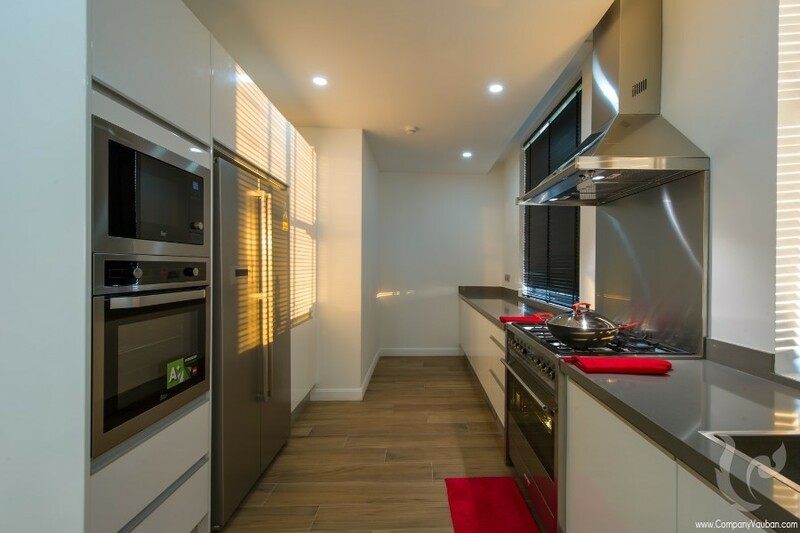 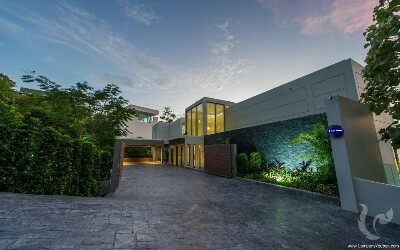 The villa comprises 3 storey with 6 bedrooms 7 bathrooms. Overlooking panoramic view of Andaman Sea. 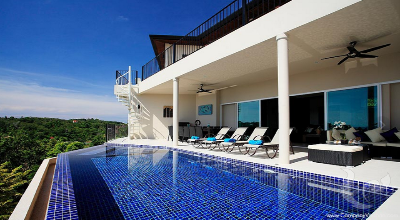 This villa offers an exclusive vacation home with sixth fully equipped bedrooms. 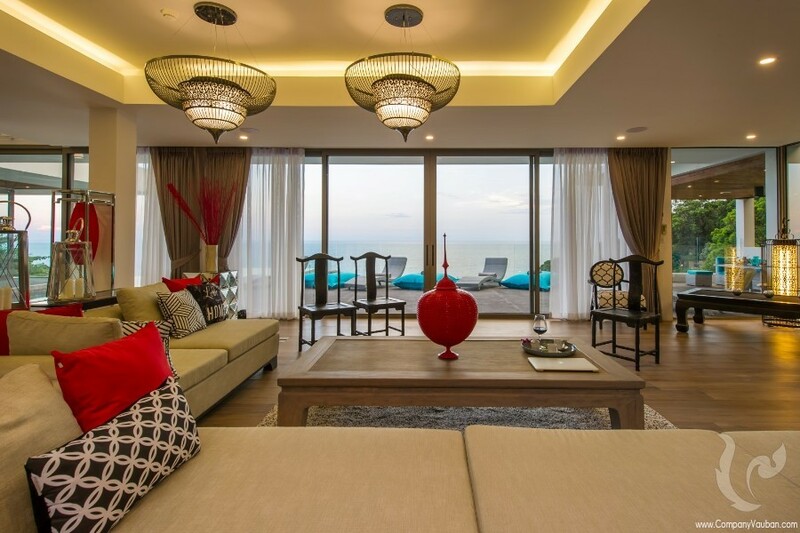 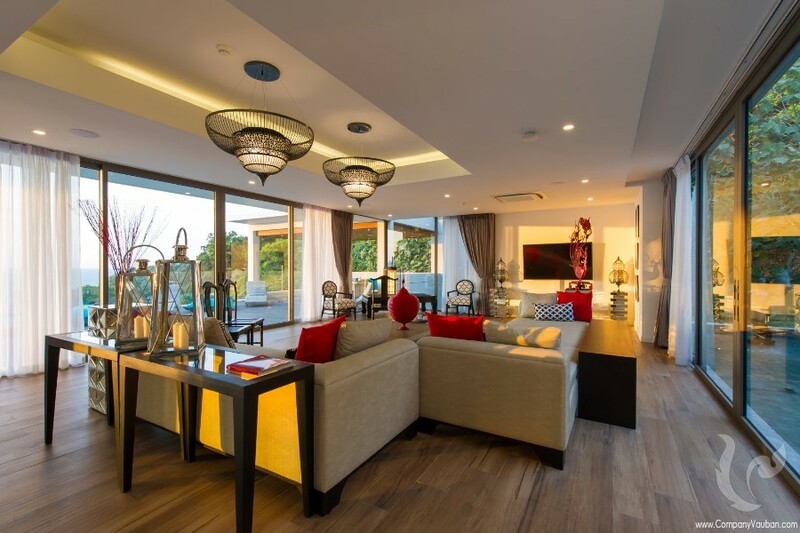 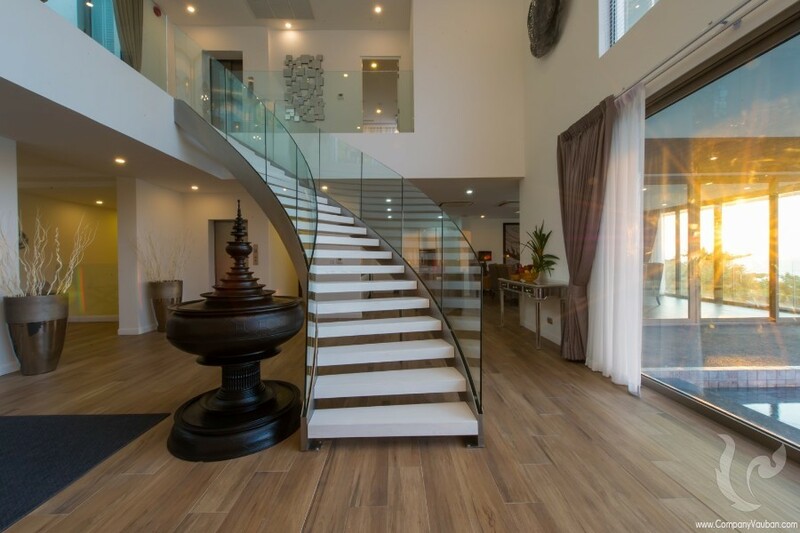 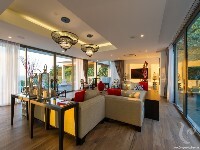 The villa’s décor is a mix of contemporary comfort and a touch of Thai architecture. Facing the west, this gorgeous villa allows guests to enjoy brilliant sunsets amidst the green surrounding of the villa’s manicured verdant garden.